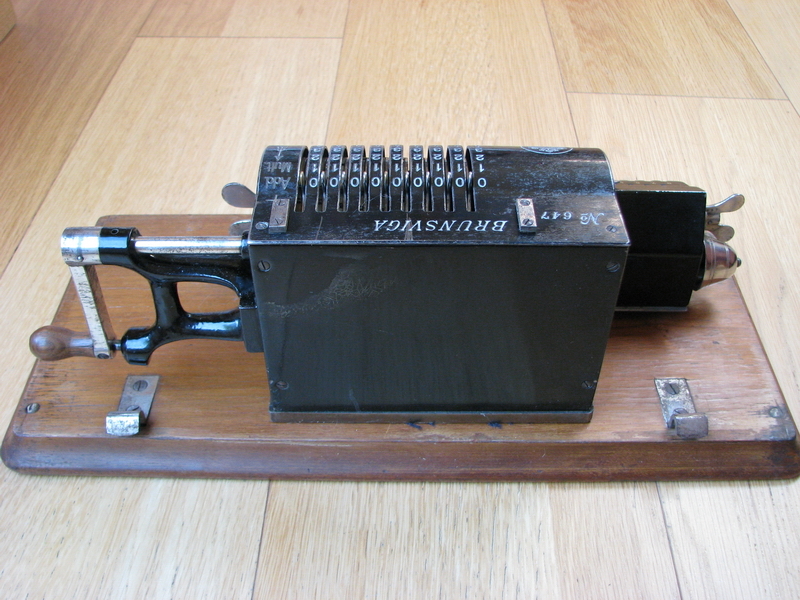 I simply can't seem to stop buying early Brunsviga machines in very nice condition. 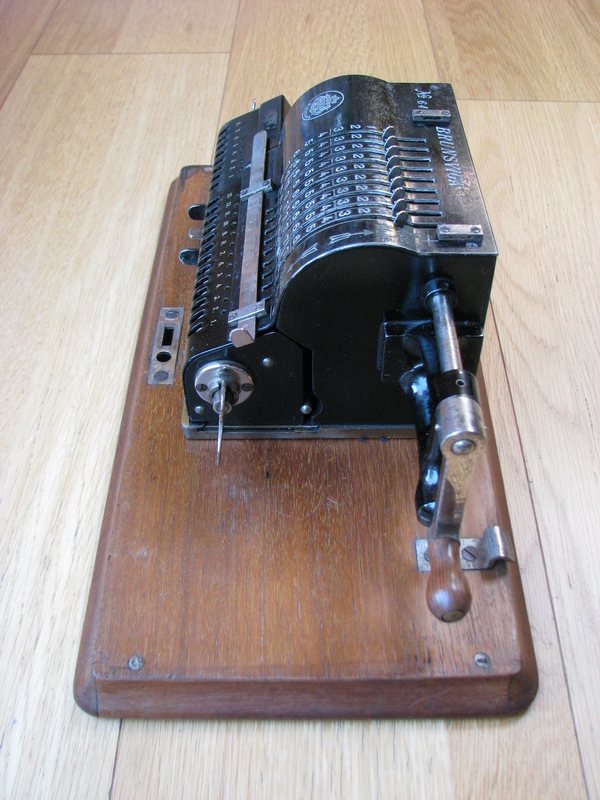 This one also came from Sweden, and it is one of the first few 100 machines with the long crank, with serial N° 647. It is very similar to the later machines N° 1782 and 2102, but the differences with N° 342 are appreciable. The main thing that stands out is of course the long crank, and the associated crank support that has been added to the right side of the machine. Another important change from 342 to 647 is that the top plate is no longer made in brass, but is now a steel pressing, painted black. The paint doesn't adhere very well to the steel, and also does not protect it very well against corrosion, which leads to machines this age always looking a bit scruffy, because the top plate has corrosion pitting under the paint. Either the steel top plate was an option for those wanting to have it painted black, or the factory was just not very consistent. Brunsviga N° 965 quite clearly has a top plate in brass! Finally, another improvement that came up only after machine 342 was made, is the reset bar for the tens' carry levers. 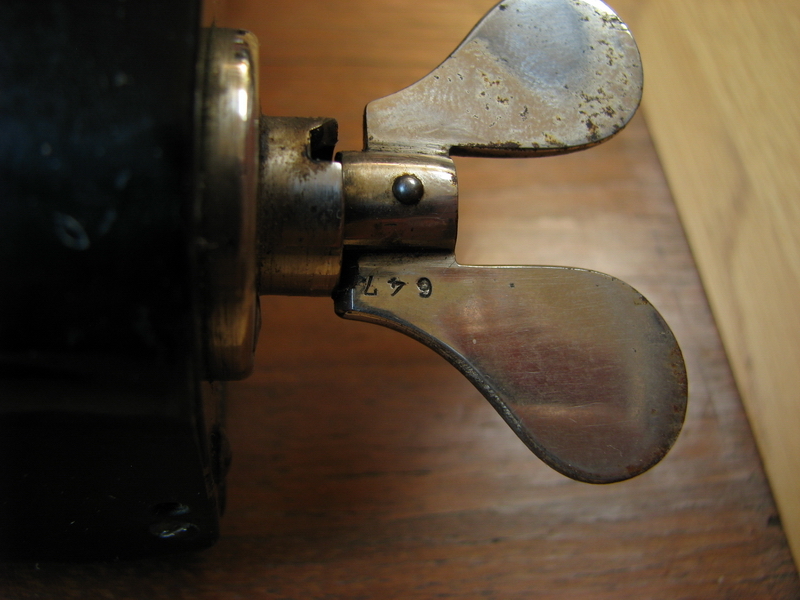 N° 529 already has it, and so does 647 - it is the steel round bar extending from the left side of the pinwheel cylinder, intended to push the tens' carry levers back into their neutral position. 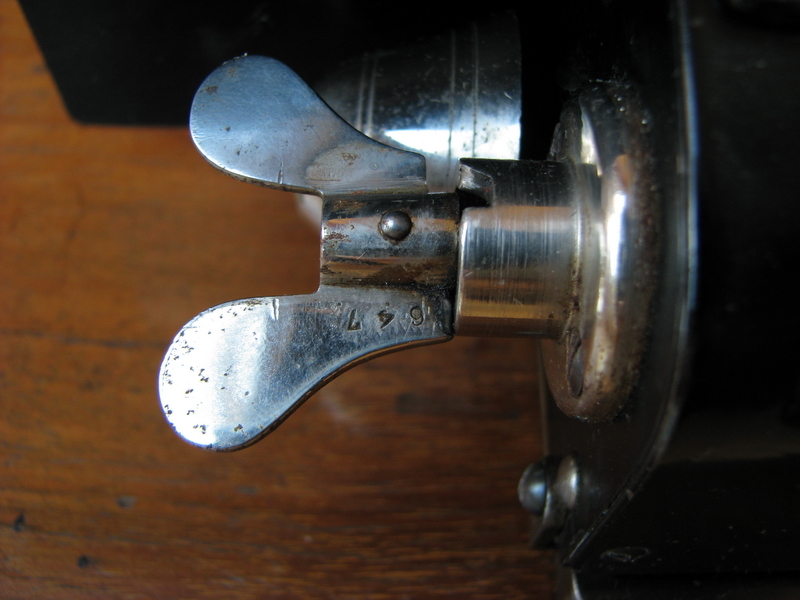 In earlier machines, the carriage could possibly block if it was moved to the left and one of the tens' carry levers would still be in its operating position after an overflow, not only leading to a bit of a problem fixing this, but also possibly leading to damage to the ten's carry lever itself. This part fixes that - even though I have not been able to reproduce the issue on N° 342. 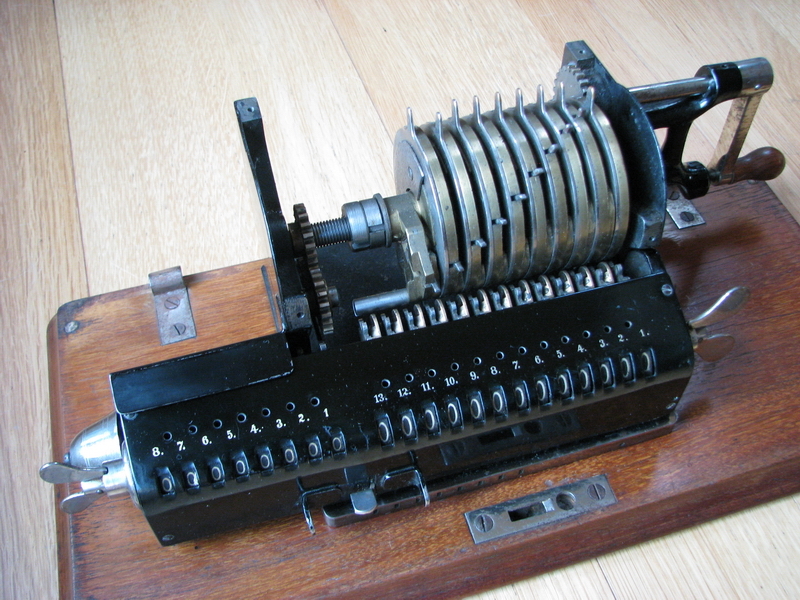 The machine has an interesting comma arrangement, where a nickeled strip is moved through two holders above the setting register, and above the result. 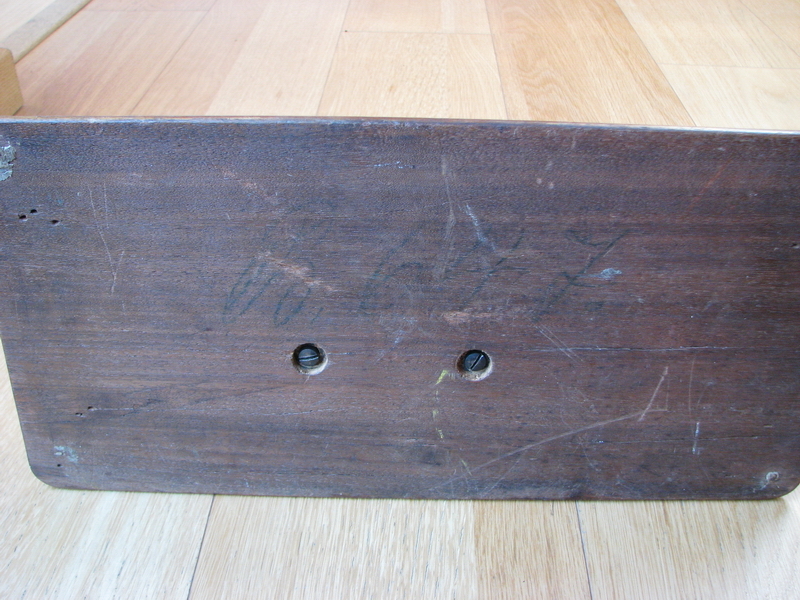 There may originally have been two nickeled strips, but now only one remains. Whole numbers are large and in black, while numbers behind the decimal mark are smaller and in red. 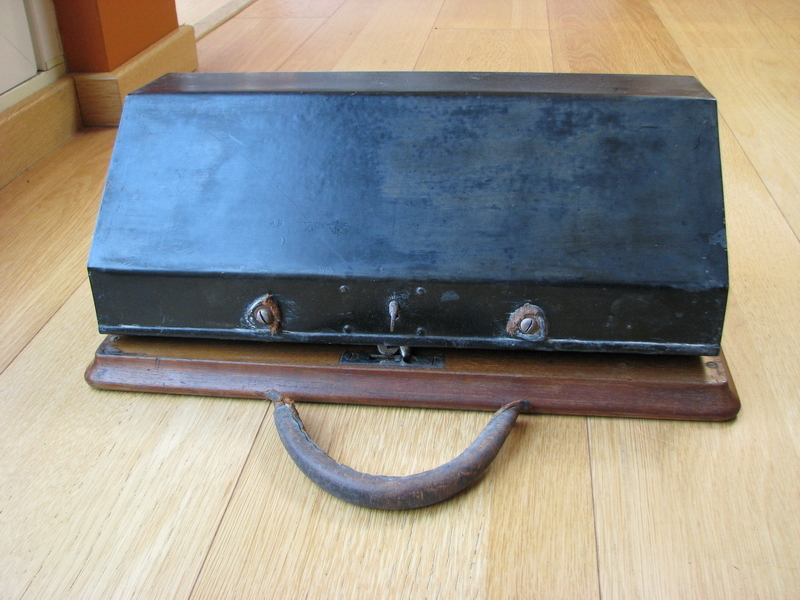 The machine came with its case and original key, unfortunately the leather handle broke off. Luckily, on the other hand, this apparently didn't happen while the machine was being carried by it! Another interesting observation which is timely to talk about, is the patent information on the side of this machine. Vereinigte Staaten v. N. A. The decal is identical to machines 529, 908, 928 and 965, and also occurs on machine 2012 and Schuster machine 2419. Note the changes in patent numbers in comparison with the earlier decal for Germany (69925 to 64925) and Switzerland (4587 to 4578). These are probably corrections of typographic errors! In a next series, machines N° 2875, 3278 and 3175 have a patent decal which is almost, but not entirely identical to the one below for machine N° 4133 - in the earlier machines, the Patente: was indented to the middle. In addition, the patent for France has a different number, 261806. Also within this decal there are variations, with a gothic s in Braunschweig in N° 2875 and 3175, and a normal s in 3278. Below is the decal for 4133, with a different patent number for France, and a lower number of countries - what happened to Sweden, Norway and Russia - they fell prey to the influence of W.T. Odhner himself ? 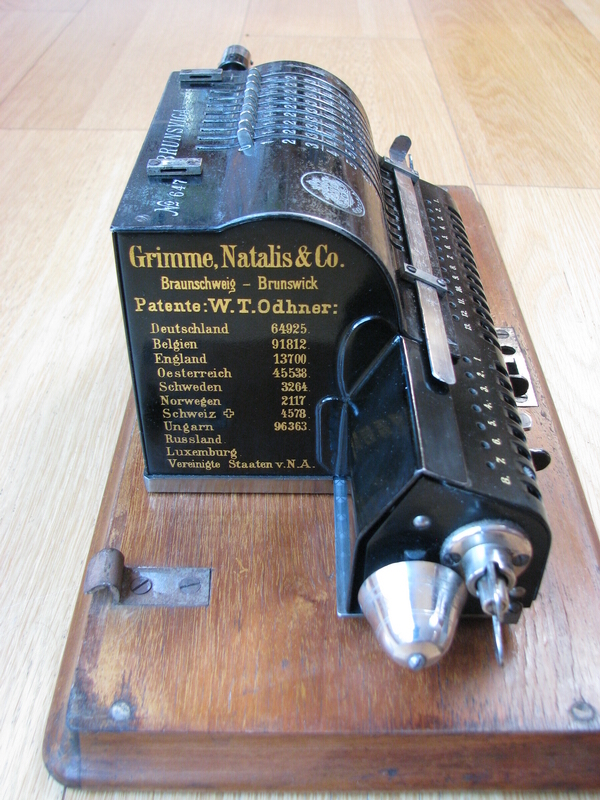 Grimme, Natalis & Co, Braunschweig-Brunswick, System W.T. Odhner. 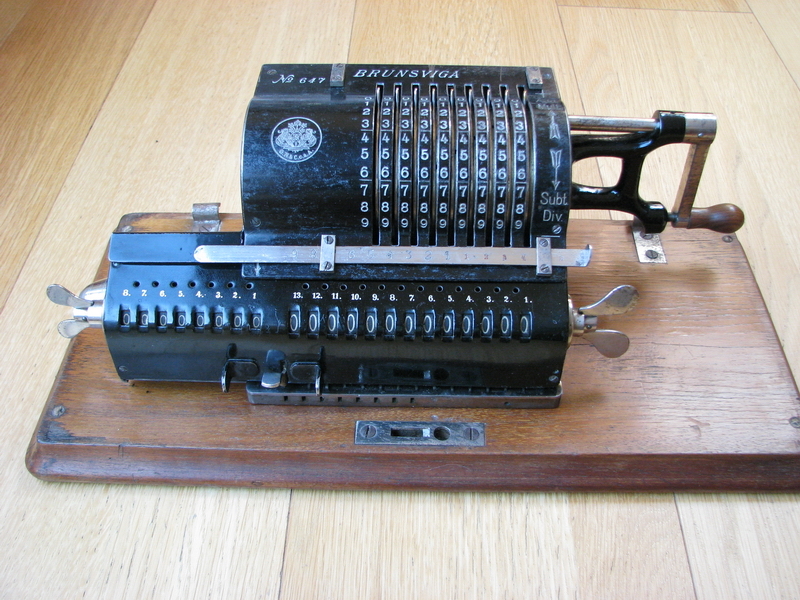 It occurs on machines N° 5702 and 6384, however, it occurs as well on the "disguised" Odhner Arithmometer N° 633, which was sold as a Brunsviga, and on machine N° 1782, messing up the chronology a bit! There is a last decal on machine 6368, identical tot he one on 4133, but with a much larger vertical space between System W.T. 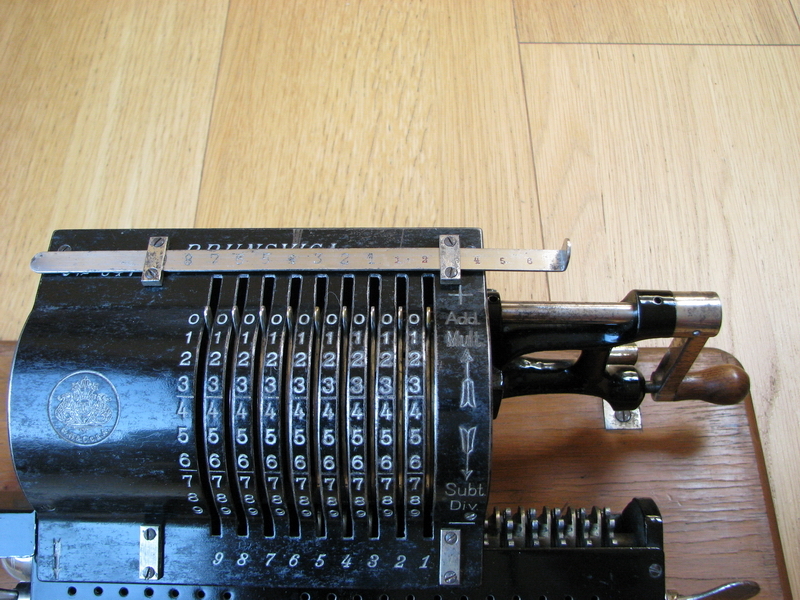 Odhner and the Patente:, and hence also a smaller font for countries and numbers. 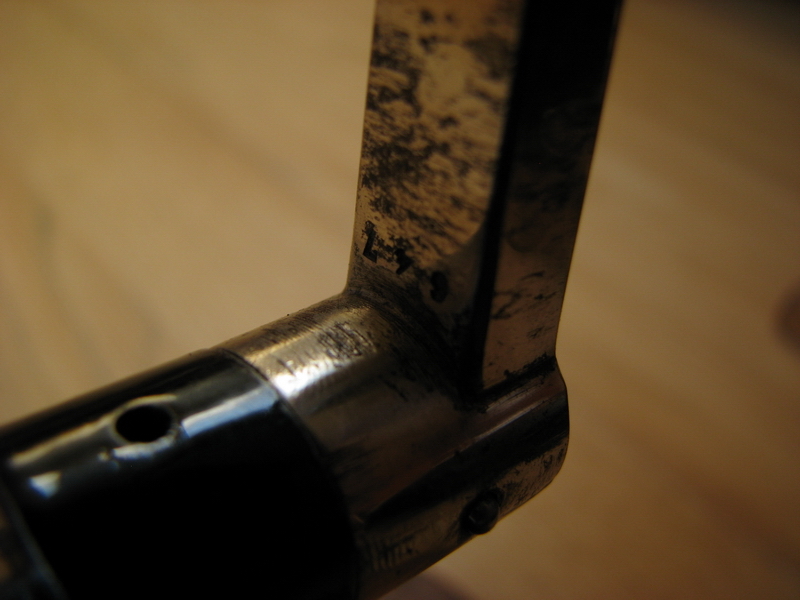 With the introduction of the clearing wingnut on the left side of the machine between machine N° 6846 and 7144, the patent decal was no longer used.